You survived Christmas and have New Year's Eve to look forward to later this week. Maybe you have a lot of extra time off, or maybe you need to entertain visiting friends and relatives. We have what you need, just check out our event listings and Staff Picks for some great options. ETC. | The Satori Dance Studio is hosting a Festivus in Pink party, where you can dance, eat and drink the night away, as long as you do it in pink. No word on whether the Festivus pole will be pink as well, but if it's not, perhaps include that in the Airing of Grievances. DANCE | If you watch the show, or just love seeing people with mad skills cut a rug, head to the INB Performing Arts Center for the touring show of So You Think You Can Dance, this time featuring folks from season 12. LIVE BANDS | The Mentors have been creating legendarily sleazy and over-the-top rock music for decades; they were one of the bands who inspired the formation of Tipper Gore's Parents Music Resource Center. I had no idea they still existed, but they apparently do, and they're playing The Pin Tuesday. NEW YEAR'S EVE | There is so much happening on Thursday to ring in the new year, you'll just have to go browse the day's events and choose between all the concerts, First Night festivities and assorted shenanigans. SPORTS & OUTDOORS | Take advantage of our beautiful region with a First Day Hike at either Mt. Spokane or Riverside State Park. It's free entry at all state parks on Friday. 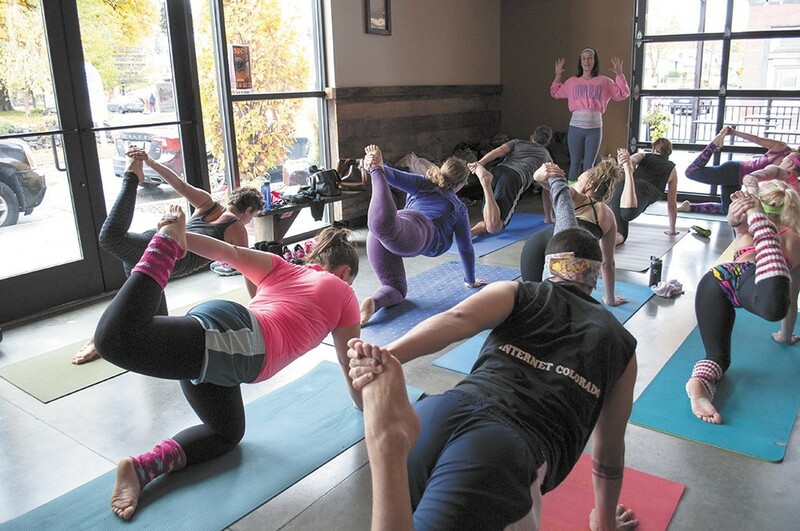 COMMUNITY | Get your year off to a new healthy start with Beer Flow Yoga at Perry Street Brewing. First, you do a little yoga. Next, you enjoy a beer with your classmates. See, healthy! For mind and body.